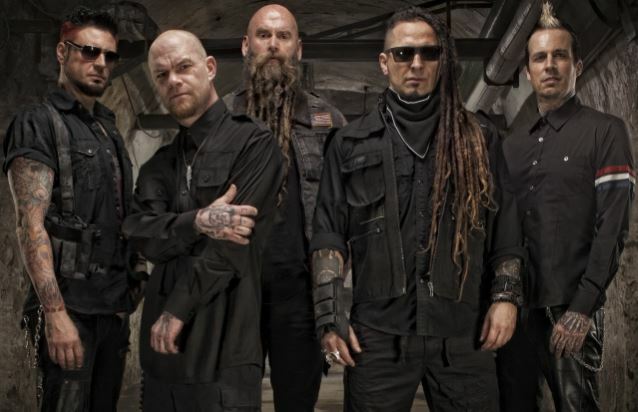 Five Finger Death Punch responded to their record label Prospect Park, who recently sued the band. You can read the official statement below. The band said in an official statement: "Desperate people do desperate things. We are saddened, but not surprised by the recent lawsuit filed by Prospect Park, LLC against the members of Five Finger Death Punch. It is the latest in a long line of exploitative and abusive bullying tactics used by our former manager and current label CEO Jeff Kwatinetz to extract money from and wield power against the band. Jeff Kwatinetz is well-known as a former music industry powerhouse whose erratic behavior and affiliated corporate bankruptcies have caused most of his companies’ clients, including Backstreet Boys, Korn, Smashing Pumpkins, Jane’s Addiction and Azalea Banks to flee in droves. In fact, we also fired Prospect Park management four years ago in an effort to escape an arrangement that more resembled indentured servitude. Five Finger Death Punch’s recordings are now one of Prospect Park’s last remaining and most valuable assets still under contract. Five Finger Death Punch is prepared to record and deliver the final album this year under its recording agreement, but instead of allowing us to record, Prospect Park has chosen to sue us, hold us for ransom and squeeze extra money out of its contract rights by attempting to sell an interest in future recordings. What’s worse is that Prospect Park very deliberately filed their meritless lawsuit the same week we are trying put our Fall co-headlining arena tour on sale. In its lawsuit, Prospect Park states that Five Finger Death Punch has plateaued and that its sound is stale, yet on multiple occasions and in writing Mr. Kwatinetz referred to the most recent album, Got Your Six, as the band’s “best album yet”. Five Finger Death Punch is the best selling Active Rock band of the last 24 months and one of the top selling Active Rock bands of this decade. Every single first week album sales figure has been higher than the last. In fact, there is not one shred of evidence to suggest that Five Finger Death Punch’s career remains on any trajectory other than an upward one. Any statement or suggestion that Five Finger Death Punch is suffering from some kind of slump is untrue. Prospect Park does not want us to record our next album with Kevin Churko, who at this point is part of our family and who has produced the last five of our six albums. As for the creative process, Mr. Kwatinetz has never been to the studio during the making of any of our albums, he has never met Mr. Churko and Prospect Park repeatedly failed to pay Mr. Churko on time. As for our singer, Ivan Moody, his issues are no secret and were recently and successfully addressed with the love and support of his family and bandmates in a rehabilitation facility. Never once did Prospect Park Management or Recordings support any efforts to get him sober, preferring the band continue making albums and touring. We are confident that the evidence will expose the allegations in Prospect Park’s complaint as completely meritless and that the band will recover substantial damages and be released from any further obligations to Prospect Park based on the cross-complaint that we intend to file. – Five Finger Death Punch"